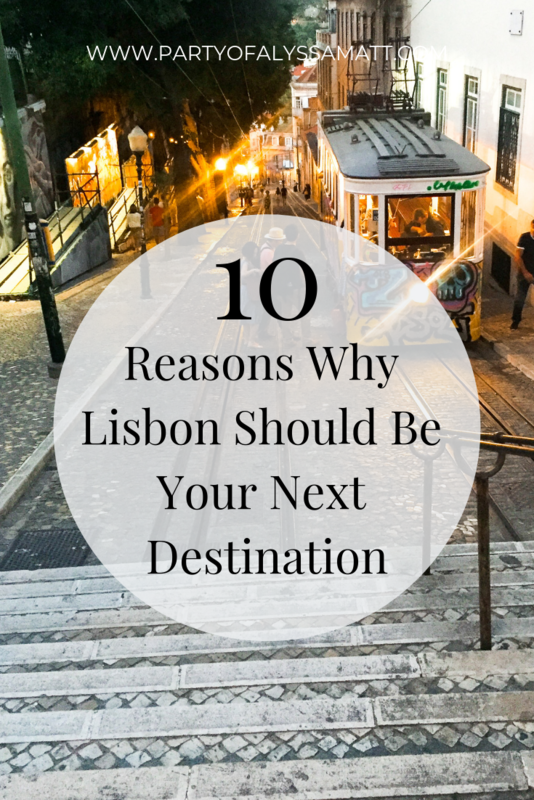 Ok, there will definitely be more than 10 reasons here because I am in love with Portugal and Lisbon, and I could gush about how fantastic they are all day! I spent a month living there this past summer, and one month was not enough! The country and the city (cities) are just beautiful. Will I ever get tired of looking up and seeing a castle on the hill? 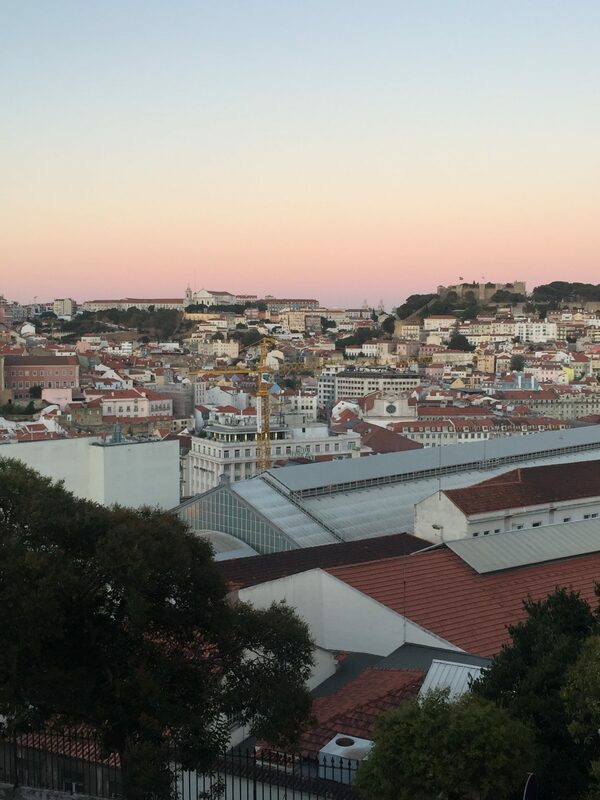 How about watching the sunset from a miradouro or one of the many rooftop bars? Take me back to Lisboa NOW please! Portugal is the sunniest country in Europe with an average of 300 sunny days per year! Who doesn’t love the sun? If you don’t love the sun, then I guess Portugal is not for you. Your body needs sunlight to produce Vitamin D. If you don’t like a healthy body, then I guess Portugal is not for you. Sunshine makes you happy. If you don’t like being happy, then don’t come to Portugal. 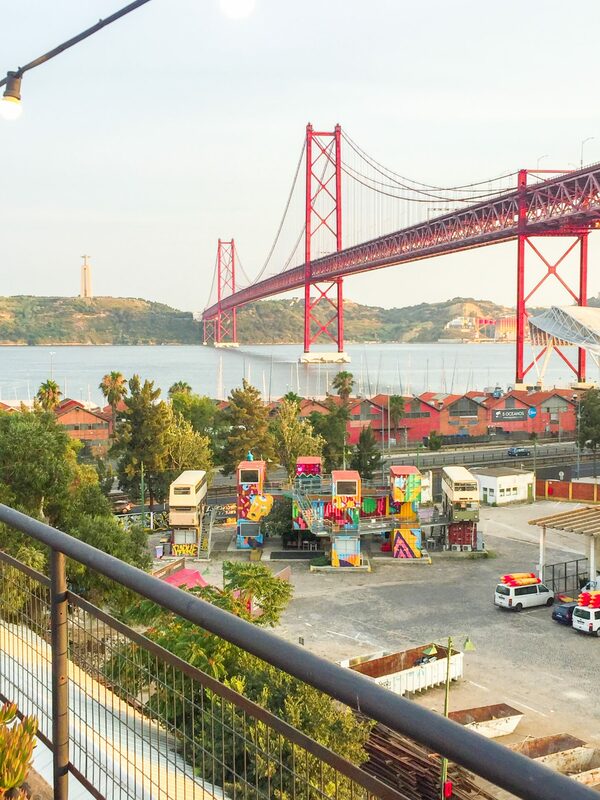 Portugal is one of the most affordable countries in Europe. An XL Beer for €1? Sign me up! A glass of wine for €3? An uber ride for €3!? I’m sold. I mean, do I even need to say anything else? 3. Two words. Vinho Verde. Go to Portugal for the green wine alone! By “green” they mean young wine, and it is my favorite. 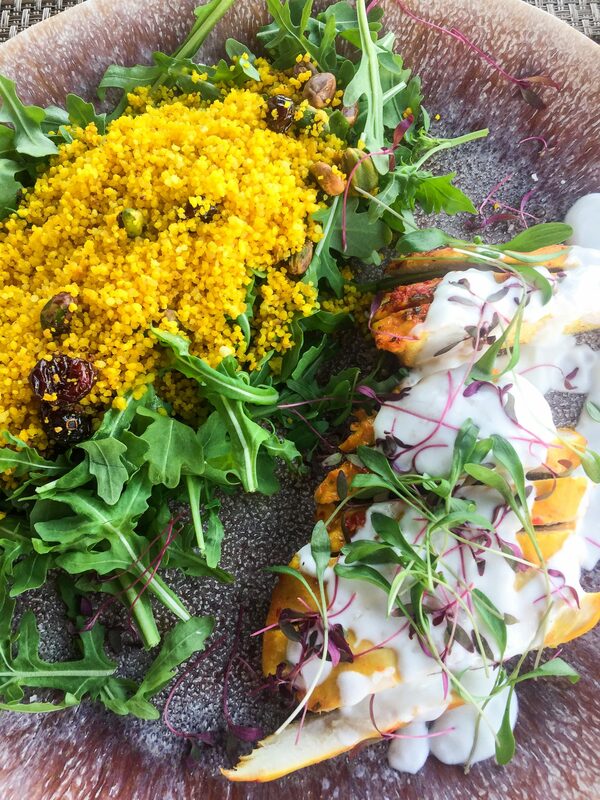 Better yet, get some vinho verde with a little bit of sparkle. I asked about this, and I was told that the stuff with sparkle is the super cheap kind. Guess I don’t have a very refined palette haha. 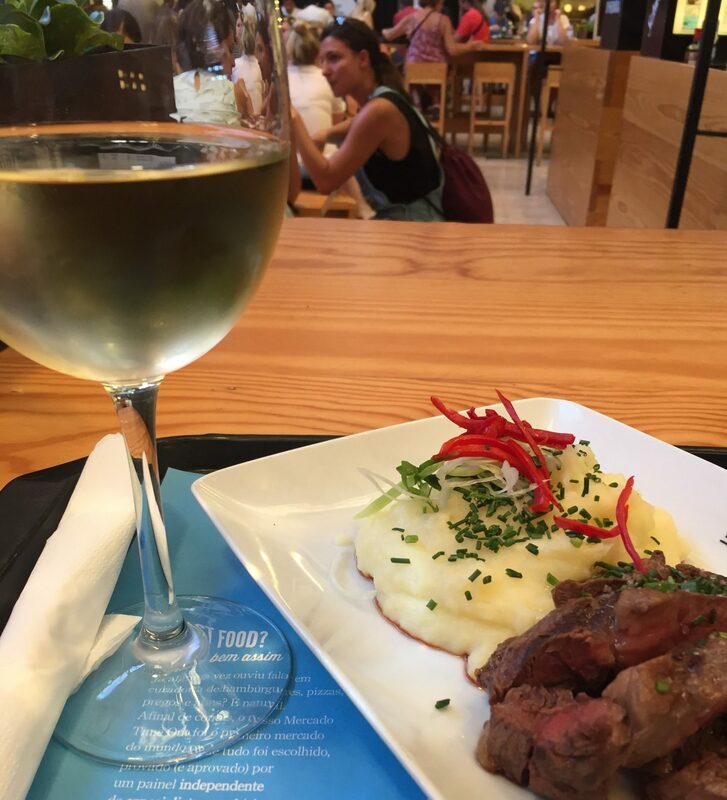 On those hot Portuguese days and nights, vinho verde will HIT THE SPOT. It is available all over the city! Ever heard of Port Wine? Port wine is named after Porto, a smaller city in the north of the country. It’s a sweet dessert wine, and I can’t get enough of that either. If you love wine, you will love Portugal. 4. Pastel de Nata or Pastéis de Nata. This one takes the cake egg. Quite frankly, calling these delicious little pastries egg tarts makes them sound yucky. And they are ANYTHING but yucky. I get it. You see the picture, and you’re like, all this hullaballoo over that mediocre looking tart? 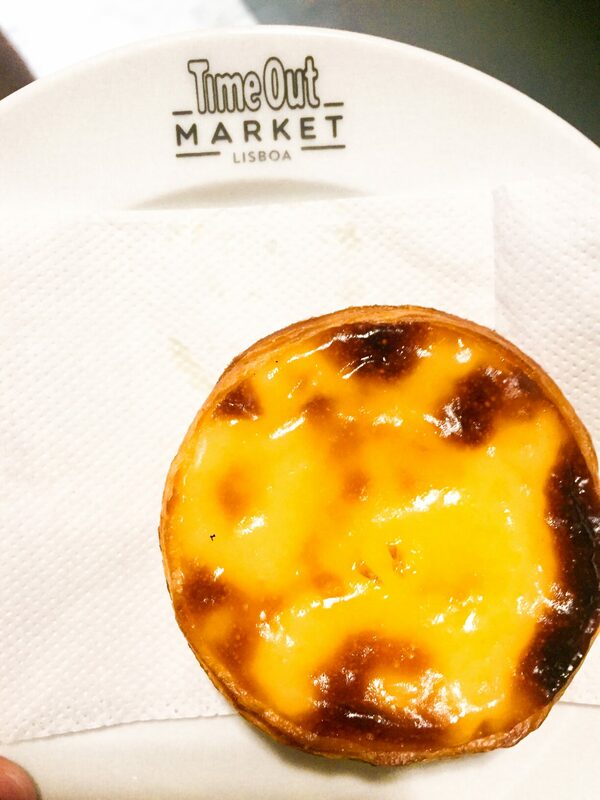 Make sure you get them from either the Manteigaria Fábrica de Pastéis de Nata in the Chiado/Bairro Alto area or get them in Belém. You can’t go wrong with either one! But you can go wrong if you don’t try them. I would go back to Portugal for these alone. This is actually a Brazilian concoction but hear me out on this! 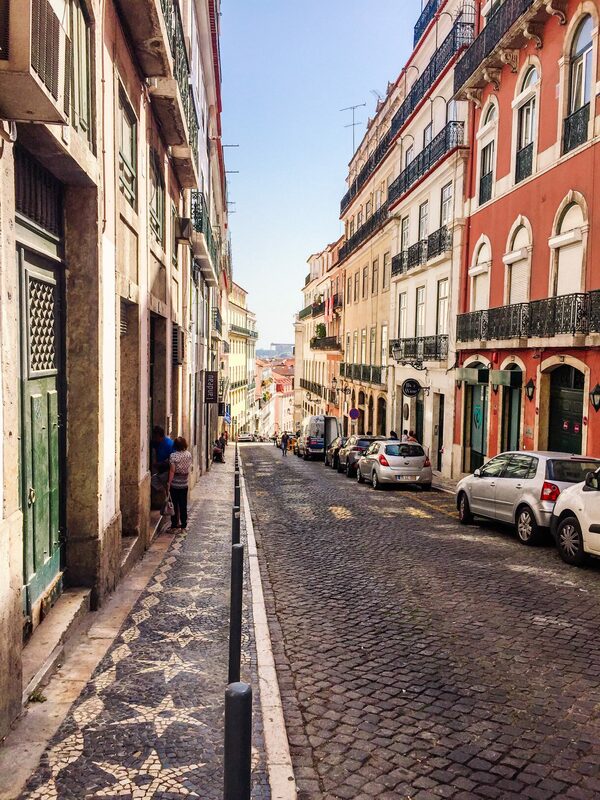 We met these British guys on the street in Lisbon, and we ended up hanging out with them in the Bairro Alto…twice. I think it was Simon who turned me on to the caipirinha. 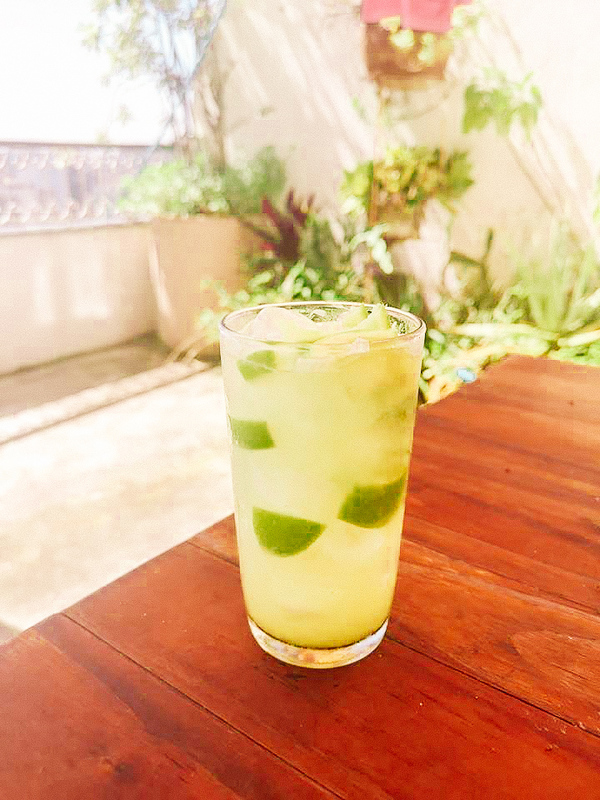 It is made out of a Brazilian liquor called cachaça, sugar, and limes. You probably won’t be able to find cachaça at your local store, and there is no substitute. I had a caipirinha every chance I got too! Please go and have one so I can live through you! How do I even begin to describe it? It’s beauty, pain, sorrow, love, longing, loss all wrapped up into a passionate song. Have you ever been in a relationship with a person you thought was THE ONE? Things are going well. You’re so in love. This is the happiest you’ve ever been. Suddenly, it all comes crashing down. That person ends things with you out of the blue. You’re left feeling lost and brokenhearted. You don’t understand what happened. One minute, you’re crying uncontrollably. The next minute you’re in a rage. You’re miserable and depressed. You throw out their things and swear to never speak to them again. In order to move on, you focus on the negative about that person…all the reasons that they were no good for you. Time goes by. Life goes on. Then one day, you stumble upon one of their old shirts in your closet. You take it out and hold it. Those good memories you had suppressed for so long come flooding to the surface along with the realization that you will never have that person again. Fado is that feeling put into music and song. It is something so special and so specific to Portugal. You must go. 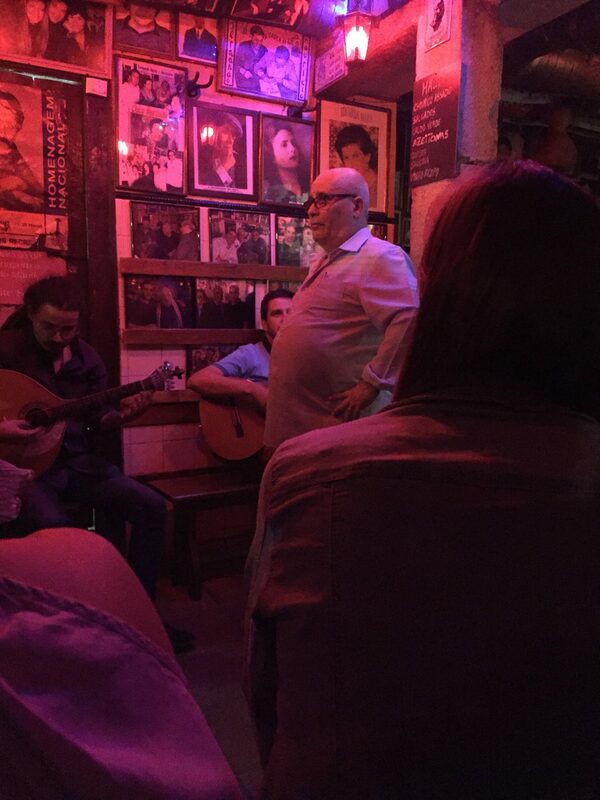 I have a post coming soon on Fado Ettiquette and other mistakes tourists make in Portugal. Make sure you’re on the list so you don’t miss out! 7. Architecture, Tiles, & Castles! Oh My! The buildings, the bridges, the tiles, the street art, the castle on a hill. I mean…words can’t even do it justice. You’ll just have to go see for yourself. In the mean time, enjoy some of these photos. What is a miradouro? Well, my friend, you are in for a real treat! Just type the word into Google Maps and you’ll see what I am talking about. These are lookout points or view points scattered all over the city usually surrounded by little kiosks and sitting areas with incredible views! Everyone is hanging around watching the sunset, enjoying a drink, and having a good chat. A few of my favorites are Miradouro de São Pedro de Alcântara, Miradouro de Santa Luzia, & Miradouro das Portas do Sol. Absolutely no editing or filter on this photo. Can you see the castle on the hill? I group these together because they usually go hand-in-hand. Like why do we NOT have these in the US? Why do we not have miradouros in the US? Why is Lisbon not in the US!?!?! 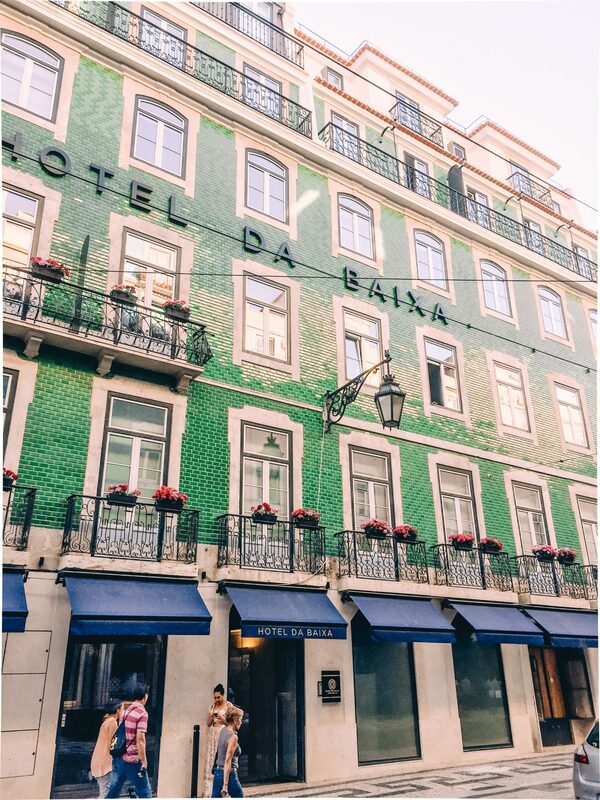 Lisbon is the city that doesn’t sleep, especially if you’re hanging around in the Bairro Alto or Chiado neighborhoods. Praças are like little parks or public squares. People just flock here. There’s usually always a kiosk that sells little snacks and drinks. 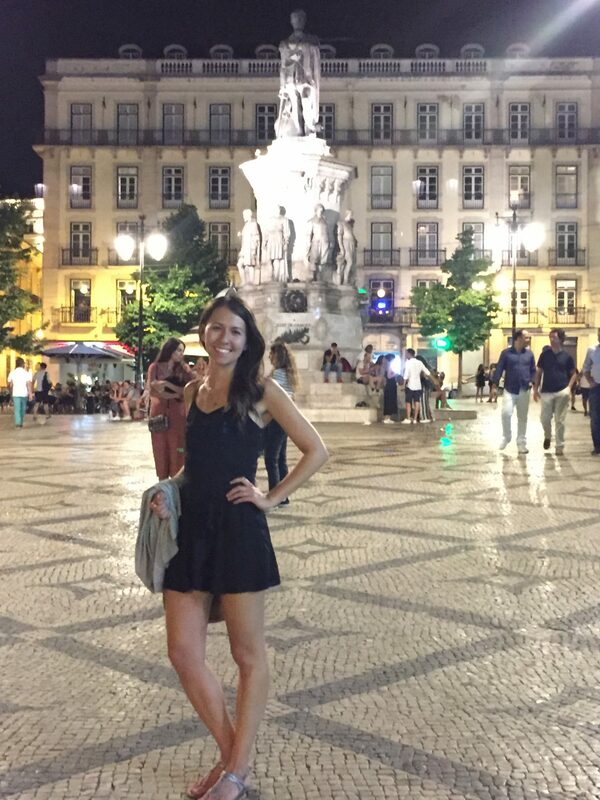 At midnight in Lisbon, you’d think it was 8 or 9pm with the way people are just hanging out, chatting, and drinking. This photo was taken at approximately midnight on a Wednesday. Many times there is live music or other performances going on. This might just be in the touristy areas, but I don’t care. I love it. 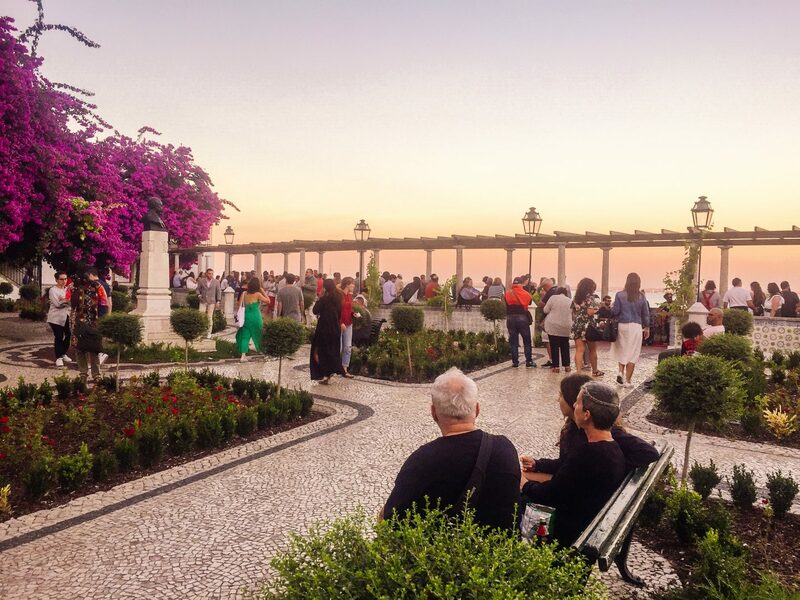 If you hang out at Praça Luís de Camões, you’ll be right in the middle of everything. 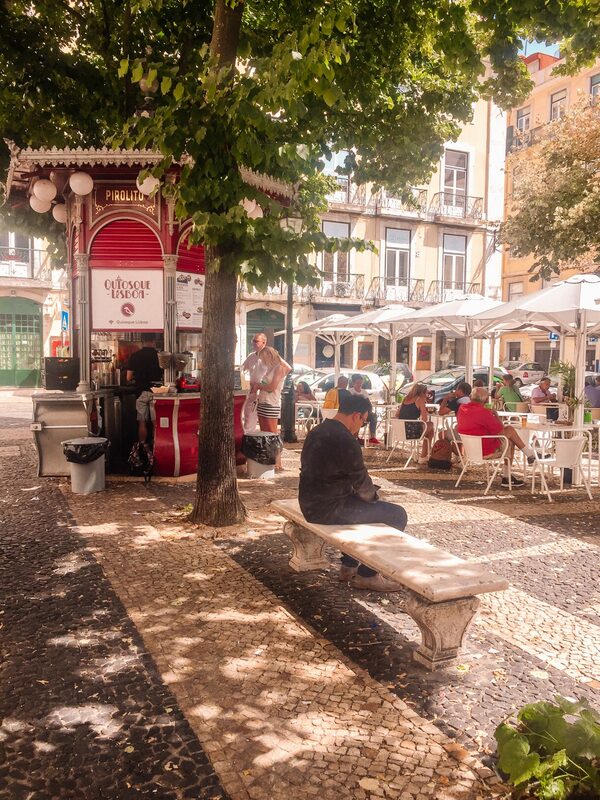 Have dinner nearby (check out my food + bar guide linked below), walk down to this square, grab a pastel de nata from the Manteigaria, and enjoy the ambiance! 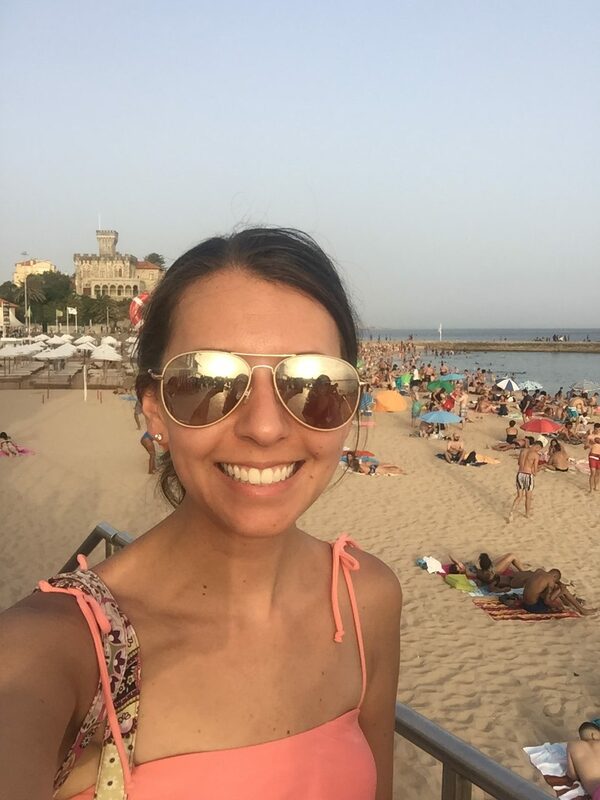 You can hop on the train at Cais do Sodre toward Cascais, and just about every other stop has a beach. We got off at Estoril, and the beach there was delightful. It was also packed because the weather was 117℉ – no joke. Keep in mind that you’re jumping into the Atlantic. It is freaking cold, but when it’s that hot, you’ll do just about anything to cool down. Still not satisfied? Good thing Portugal has an entire coastline full of beaches! The Algarve in the south is one of the most popular and picturesque areas. You have probably seen pictures of the caves and other formations. 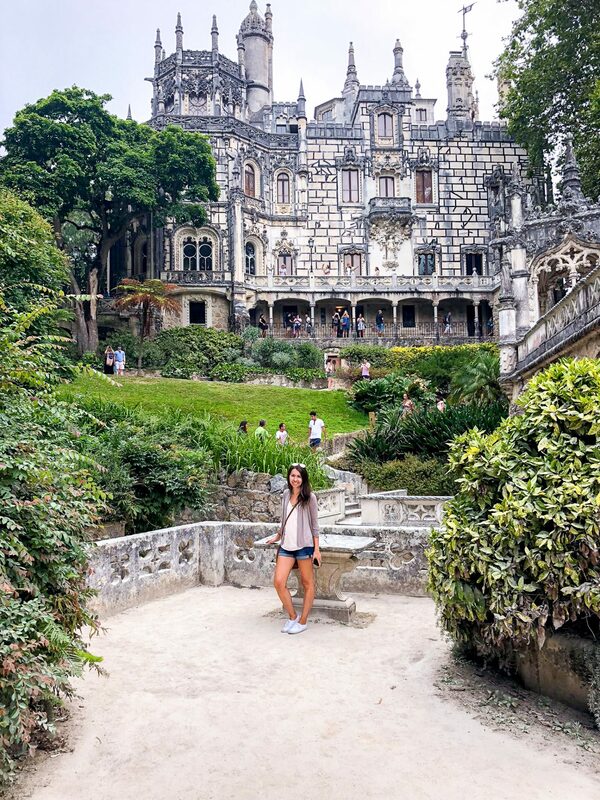 Sintra is an easy day trip from Lisbon, and it is straight out of a fairy tale. This place feels like it is not even real life. 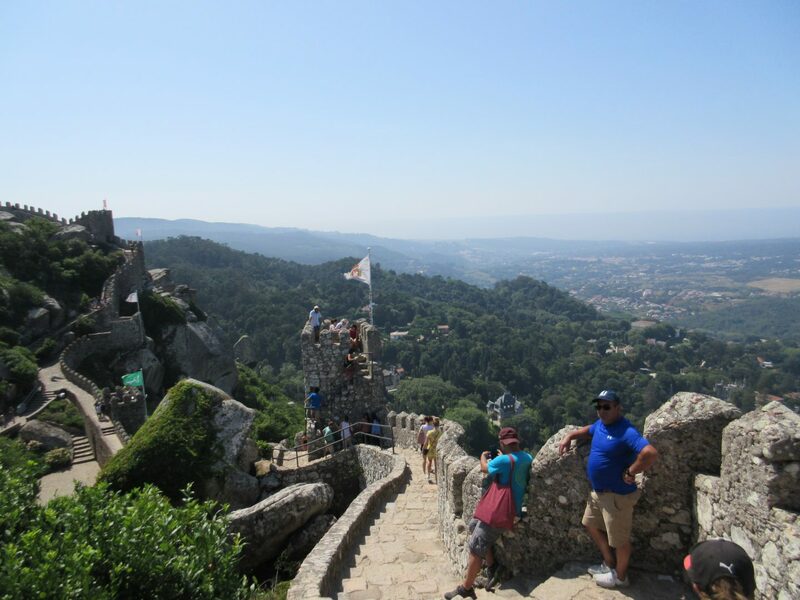 Sintra is where the Portuguese royalty would go in order to escape the heat and busy city life of Lisbon. If you thought the hills in Lisbon were intense, they’ve got nothin’ on Sintra. It tends to be cooler here than in Lisbon, so definitely bring a cardigan or sweater. Quinta da Regaleira to explore. Not to mention that the town of Sintra itself is so cute. It’s a nice little city break. In fact, I wish I would have stayed here for a night! 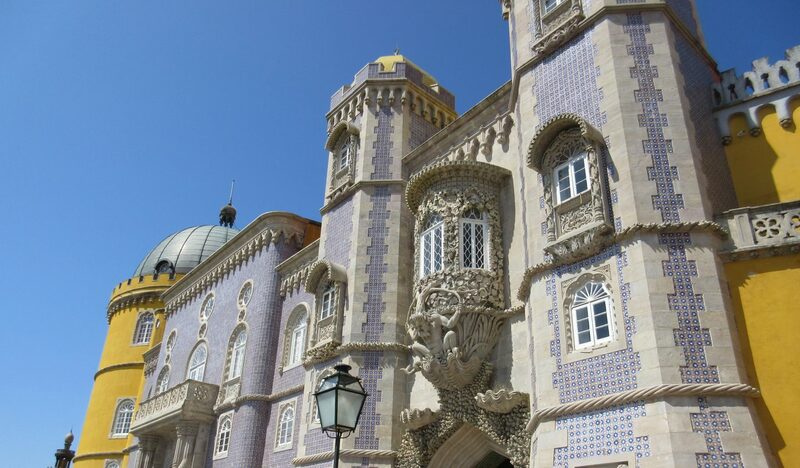 I will have a post up all about Sintra very soon. 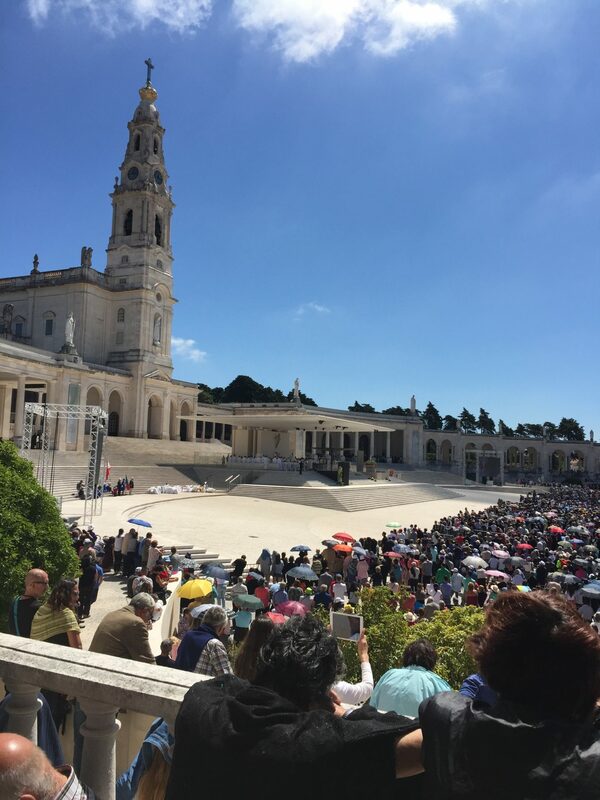 I am Catholic, so taking a day out to travel to Fatima was a must for me as well. It was in Fatima that the Blessed Virgin Mary appeared in a tree to three shepherd children: Jacinta, Lucia, and Francisco. She appeared to them once a month for six months from May to October of 1917 on the 13th of each month. The Virgin Mary showed the children three secret visions. One was about the end of WWI and the start of WWII. The other was about Russia becoming communist. The third was about a bishop in white being showered with bullets. The Virgin Mary also promised to deliver a miracle on her last apparition. October 13th, 1917 became known as The Day The Sun Danced with some 70,000 people in attendance. My grandparents watched me when I was a kid while my parents worked. I grew up watching videos about Fatima and The Day The Sun Danced with my grandma. I still get emotional thinking about it now and the fact that I was able to go to this sacred place and pray there. It’s funny how life has a way of coming full circle sometimes. Portugal is such a diverse country considering it’s size and placement within Europe. Lisbon is spectacular, but there is so much more to this country. 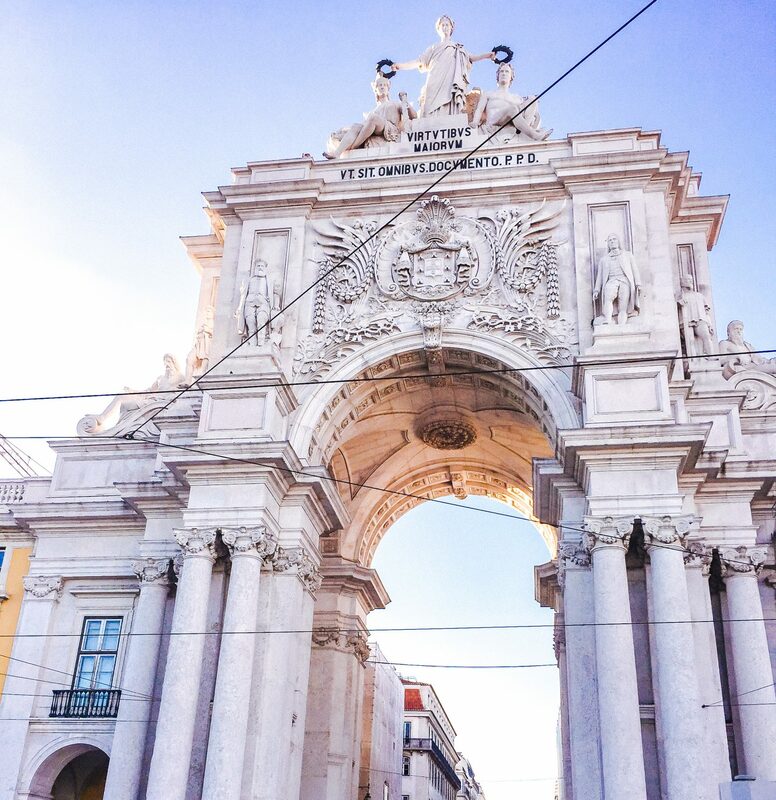 Portugal deserves your full attention and not just a night or two stop over in Lisbon on your way to somewhere else. You’ve got Porto and the Douro Valley wine country in the north. You’ve got the Algarve beaches and beach caves in the south. 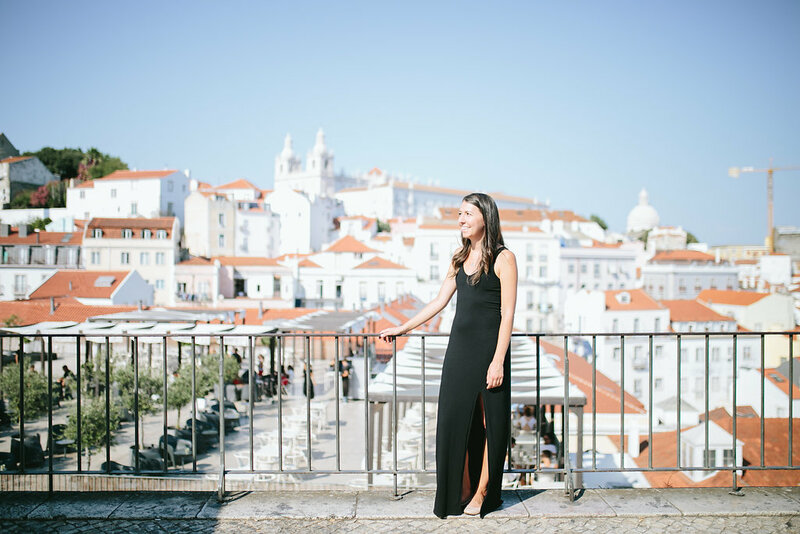 You’ve got Lisbon and Sintra and tons of other beautiful magical cities peppered in between (Óbidos, Coimbra, and so many others). There is seriously so much to discover and to see here. 13. Rooftops, Restaurants, & Bars. Name one person who doesn’t love a rooftop bar. NAME ONE. 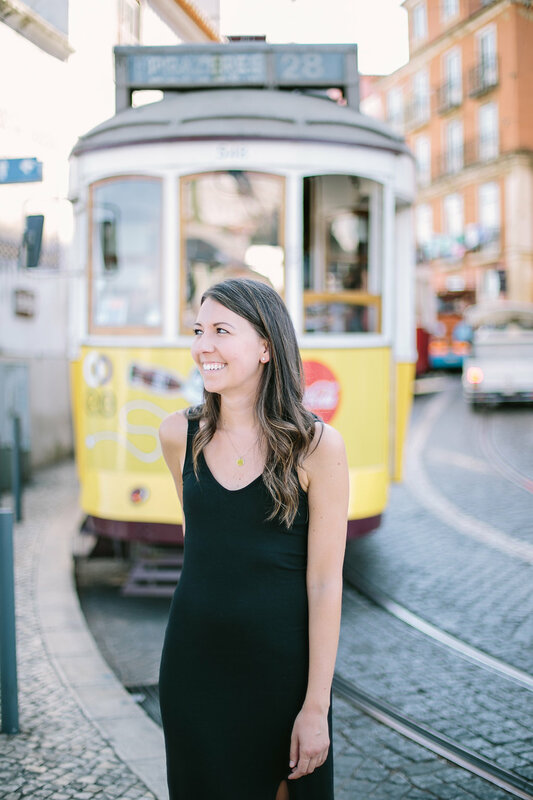 I could rave all day about the Food & Drink scene in Lisbon too, which is why I am putting together a post with all of my favorite restaurants and bars just for you! Make sure you drop your email below so you can be notified when it goes live. It will include a special freebie (like nothing you’ve seen before) to help you on your trip! And of course, my Food & Drink recommendations! Head over the the ‘gram, and let’s connect there too! Also, if you enjoyed this post and found it helpful, please pin the image below to your favorite travel board!